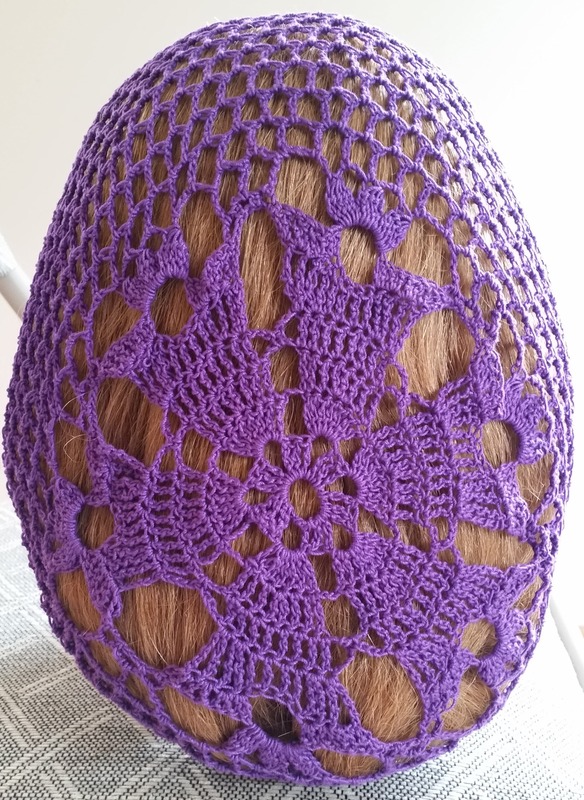 This is a newer Bell pattern. You may choose your color and length at time of purchase. The pictures shown are for the standard 8 inch length. You may now choose 10 or 12" Lengths as well. 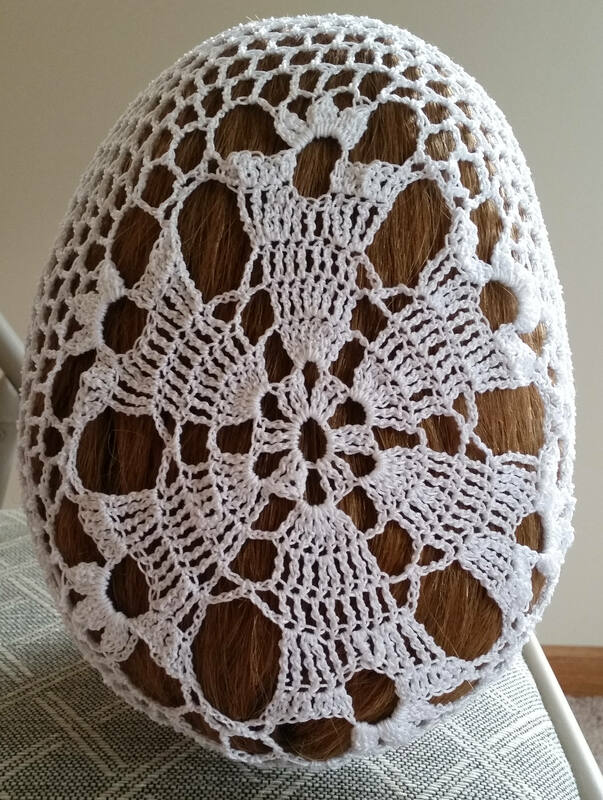 These are made to order so please allow 2 to 3 weeks for delivery when you place your order. The colors pictured are Purple, White and Yellow. 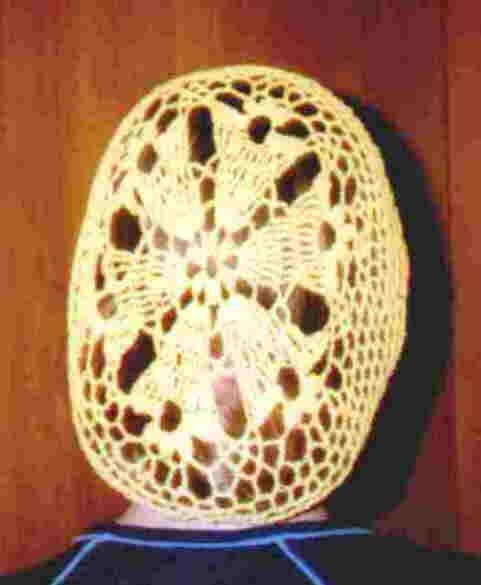 It does come complete with instructions on how to put it on and care for your snood. This snood is finished with an adjustable elastic cord which allows the snood to be tied to fit each individual person. This allows for a better fit than those with a basic elastic band. This is a great addition to your Civil War, Medieval, Renaissance or SCA garb but can also be worn just cause it looks good. Snoods are making a come back and are wonderful for bad hair days. You just put your hair in the snood and go. No muss, no fuss. The elastic cord is woven into the last row so that it is barely visible while wearing. Ladies with fine hair may find they need to add a couple of hair pins or comb to help it stay. I have been making snoods since 1996 and have built a reputation over the years for quality work that will last you for years. I still wear my original two snoods that I made back then. The elastic cord does wear out eventually but it is very easy to replace (It was my son's job when he was little when he wanted to help Mom and is a simple in and out weave) and can be found at most fabric shops for less than $2. I take PayPal, personal checks, money orders or any of the four major credit cards as payment. Shipping and handling includes insurance. 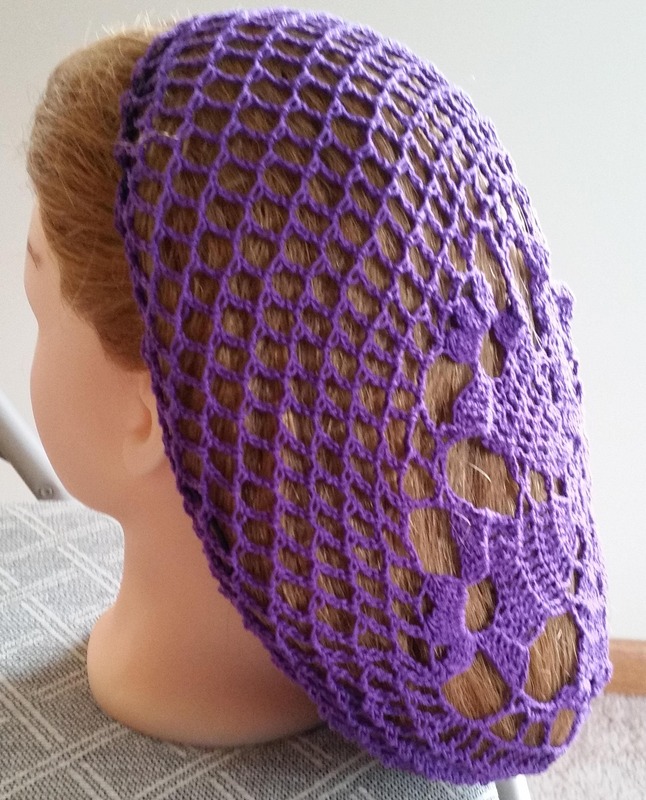 See my Etsy shop for more snood styles available. I will combine items to save you shipping if you buy more than one provided you make ONE payment for all items. Please email me for a final total if you purchase more than one before making payment to get the maximum shipping savings.